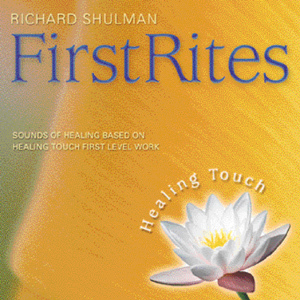 Sounds of Healing Based on Healing Touch First level work. First Rites is synthesizer music for healing, spontaneosly composed and recorded on 11/7/96 in the healing room at the Adirondack Center in Amsterdam, NY. DO NOT DRIVE OR OPERATE HEAVY MACHINERY WHILE LISTENING TO THIS MUSIC. Dedicated to the One Source of all healing, inspiration and music. Special thanks to the angels – masters of music and healing – and to Sally Mann, Karen Tabor and Myrna Dennison, Healing Touch practitioners who supported the recording of this music, and to Connie Stardancer Hanham who helped us make the connection. 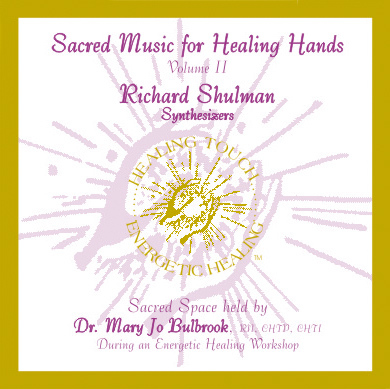 Orchestral Synthesizers; Spontaneously composed for healing work in cooperation with Healing Touch practitioners. One sixty – two minute piece helps the listener to gradually open the heart and receive blessings of healing and inspiration.